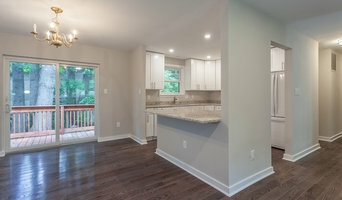 Whether your project is in our hometown of Annapolis or elsewhere, our experienced team strives to be a full-service partner throughout the complete construction and renovation process. At Carlin Brother's Construction we are dedicated to building a quality product in a timely fashion. We seek to build working relationships with architects and discerning clients. 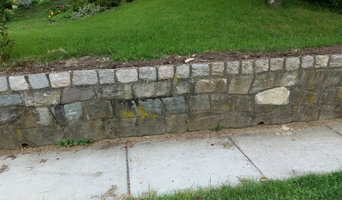 MJ & Sons Construction, LLC, is a Virginia Class A contractor with over 30 years of experience. We are a family-owned and operated company headquartered in Fairfax, Virginia, and serve Northern Virginia, District of Columbia, and Maryland. We create solutions for all of your home improvement projects. MJ's background as an architect/ civil engineer will earn your trust for a lifetime. We work extremely hard for the owner and always have the owner's best interest at heart. We pride our company on reliability, great communication, integrity and quality work. Having one company responsible for the project from start to finish is more cost effective and reduces risk. We are also one of the region’s leader Emergency Property Damage Restoration Services and assist property owners, renters, and businesses to overcome setbacks caused by water, fire damage or mold. Our goal at MJ & Sons is to build a lifetime relationship with our clients. Call us today, you will be pleased you did. 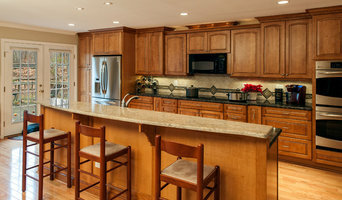 We are a full service remodeling company with over 30 years of experience servicing the Baltimore area . You work with the owner from design to the completion. We pride ourselves on being on time and on budget . From modest bathroom remodels to large kitchen overhauls, no job is too small or large for our experts. We have CAAD design software so you can accurately visualize what your remodel will look like before we begin. Our extensive services include tile work, countertops, shower enclosures, deck builds, flooring and much more. We will complete your custom project on time and with budget. For all your home renovation needs, call Renaissance Contractors today! 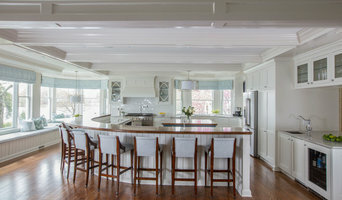 Modern Design Remodeling LLC widely specializes in Home Improvement and General Construction. With more than a decade of experience in the field, and from New York to Maryland we have been providing high quality craftsmanship and excellent service to each and every client. Contact us for your next project. D&A Design Group is a full service one stop shop company for all of your home improvement, remodeling and interior decorating needs. We are the "Man Cave" experts that add the Wow factor to basements, kitchen remodeling, family room makeover and remodeling, living room detail and design, bathroom remodeling, and so much more. Over the years, homeowners throughout Maryland have put their trust and confidence in Zwingelberg & Son Remodeling’s award-winning design and dedication. Blue Fox Contracting is a small home improvement company that prides itself in the attainment of perfection. Whether it be fixing a leak in your roof, constructing a new deck, remodeling your master bathroom, or any other problem in between, we will treat it as if it were in our own house. At the end of the day our reputation for customer satisfaction is what matters most to us. We pride ourselves in striving for perfection. We treat all jobs as if they were our own home and never leave until the job is completed, to 100% customer satisfaction. We have always been said, "if something's worth doing, then it's worth doing right". We guarantee all our work because we do it ourselves! BlueFox Contracting is founded on delivering the highest quality workmanship, reliability & satisfaction to every customer. We are a small home improvement company that prides itself in perfection. From design, budgeting, building and supervising, you can sleep easy while we make your home improvement project dreams a reality – without all the nightmares. Ram Construction adds comfort, security, and lasting value to your home by using the finest materials & highest design standards to bring harmony to the environment & protection to your home. We are a full service contractor including interior and exterior renovations. We are a painting and property service company delivering professional service and beautiful finished products to Anne Arundel County and surrounding areas. Nielsen Construction, LLC. is licensed in the State of Maryland and has been involved in the construction industry since the 1990's. We have personally developed many successful business relationships and are proud to say that 90% of our projects come from referral activity and repeat business from previous satisfied customers. We take pride in the fact that we make every effort to make sure your projects are completed, on time, on budget, and done in a safe and professional manner. Nielsen Construction, LLC. was formed to provide all general contracting services included, but not limited to: spec homes, new custom homes, additions, remodeling, interior and exterior painting, decks, roofing, and more. All work will receive our personal attention. We provide job-site management, construction scheduling, and continuous communication with you and outside contractors. It is our goal to make sure you have the best experience possible. Today’s Home Renovations is your one stop for the expert renovation services you need. Our consultants can help you with quick and cost-effective renovation projects, from start to finish. We provide services to those in the Metro DC area, including those in VA and MD, in regard to commercial and residential needs. We are experts when it comes to bath and kitchen remodeling needs, interior house painting work, flooring installation and care, cabinets, counter tops, tile, and more. We offer reliability, with a name in the home business that is backed by many years of history serving in such an area. We have a futuristic sort of bath and kitchen remodeling design and technology inspiration, and we are relevant to the tastes of today’s consumers. Here at Deluxe Kitchen & Bath, we show our love for both modern and traditional styles when it comes to homes and their interiors. We offer specialized care and concern when it comes to the needs of our customers, looking out for those who come to us for help and providing them with individualized care. We cut back on the uncertainty that customers face, helping them through their indecisiveness by offering them home improvements that are custom made for them. We do all that we can to make sure that every one of our customers is happy at all times. Allmaster Builders, Inc. has been serving Maryland since 1987. We have performed all types of home improvements including decks, room enclosures, basement remodeling, basement waterproofing, and more. We are a design build company that uses the highest quality building standards of craftsmanship on each & every project to insure that you are completely satisfied with the finished product.